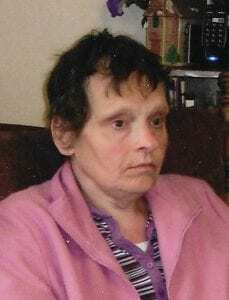 Nancy Jane Duenwald, Aberdeen, surrounded by family, died Sunday, March 10, 2019, at Avera St. Luke’s Hospital after a brief hospitalization. The daughter of Frances (Sons) and Leo Duenwald, Nancy was born Dec. 4, 1948, at Holy Infant Hospital in Hoven. Multiply-handicapped, including a severe hearing loss and autism, Nancy was hospitalized much of her first year of life. Since suitable schooling was not available, she spent the first 48 years of her life with her parents on the family farm nine miles southwest of Hoven. Leo and Frances worked tirelessly for the Association for Retarded Children (ARC), which eventually led to the enactment of the Americans with Disabilities Act. Nancy profoundly affected her family’s home life. She was a beautiful, intelligent, talented soul. For instance, she taught herself to play piano with perfect timing and harmony. Nancy was admitted to the Developmental Center at Redfield in 1992 when her parents, then 83 and 92, were unable to continue caring for her. In 2000, she moved to the Aberdeen Adjustment Training Center (now Aspire, Inc.) and lived in a group home until her death. After she left her farm home, her family continued to advocate and be very involved in her life, including regularly bringing her home for overnight visits. Nancy’s extended family, including her caretakers, consider themselves blessed to have known her. Surviving are her brother Bill (Gloria) Duenwald, sister Mary Lou (Bob) Keller, sister-in-law Agnes (Jay) Duenwald, all Hoven, 33 nieces and nephews, many grandnieces and grandnephews. She was preceded in death by her mother in October 1996, her father in January 1997, brothers Royal Duenwald and Jay Duenwald, and sisters Cleo Sabota and Eileen Weber. Nancy’s family welcomes memorials to Aspire, Inc., Hoven’s St. Anthony’s Church, and South Dakota Right to Life. Mass of Christian Burial was held Monday, March 18 at St. Anthony’s Catholic Church, Hoven, with Father Kevin Doyle, Celebrant.